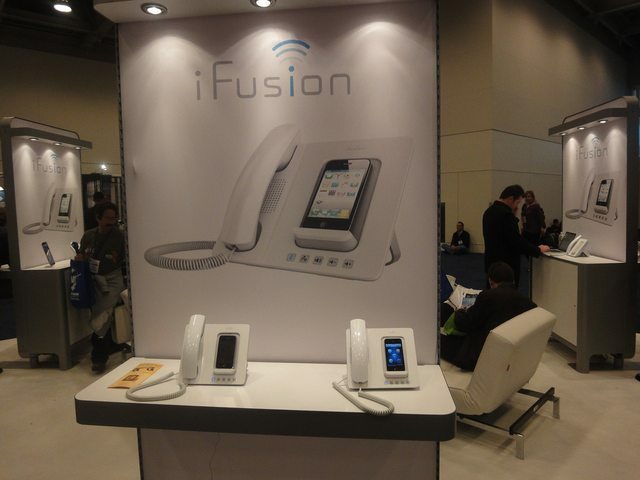 Macworld 2011: the video shows a first look at the iFusion which turns an iPhone into a desk phone via Bluetooth 2.1 technology. Also streams, charges and syncs your iPhone. The revolutionary iFusion utilizes built-in Bluetooth technology and a full duplex speaker phone to deliver superior voice quality and convenience. 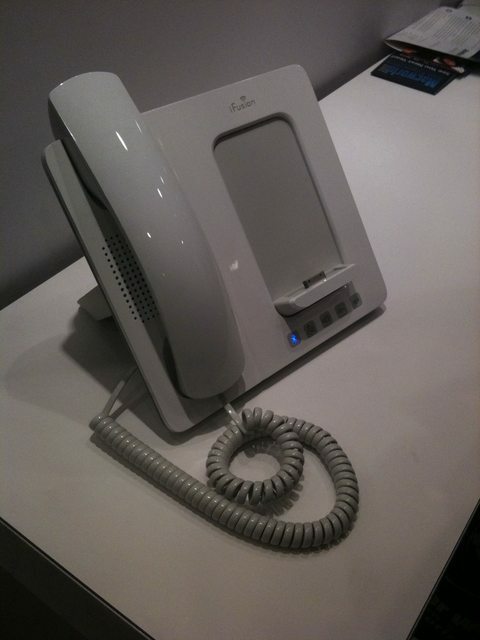 The unique cradle design of the iFusion supports the iPhone 3G, 3GS and 4, providing a means to securely dock the phone while supplying power, battery charging and data synchronization via an integrated USB cable. With support for A2DP Bluetooth streaming, users are able to enjoy their favorite iPhone music over the internal speakerphone. Pre-orders are available now for shipping in April 2011, it will come in black and white.